€ 14,00 € 7,00 Inkl. MwSt. 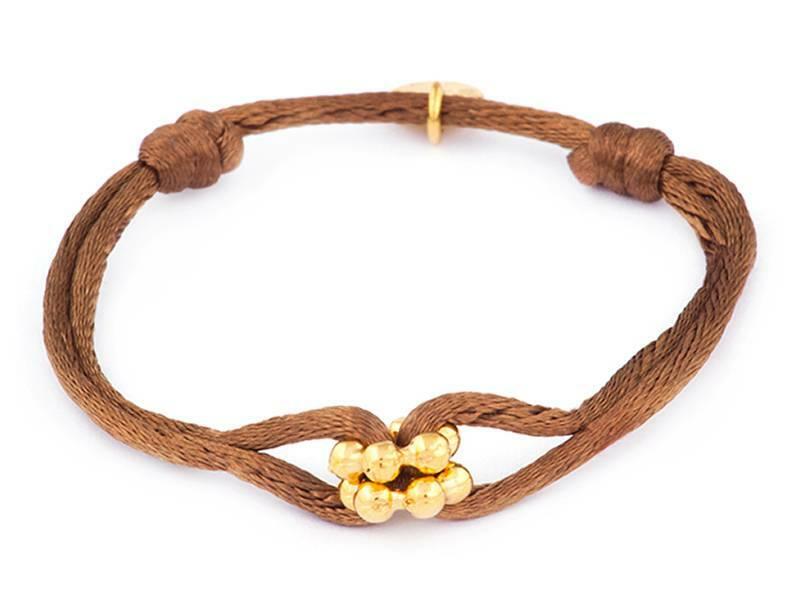 Armband with 2mm brown silk cord & two gold plated bouble rings in the middle. Length = adjustable to all sizes.